How connected are you? Would you take your phone to bed so as not to miss a message or call? If you said yes to that question, you are not alone. 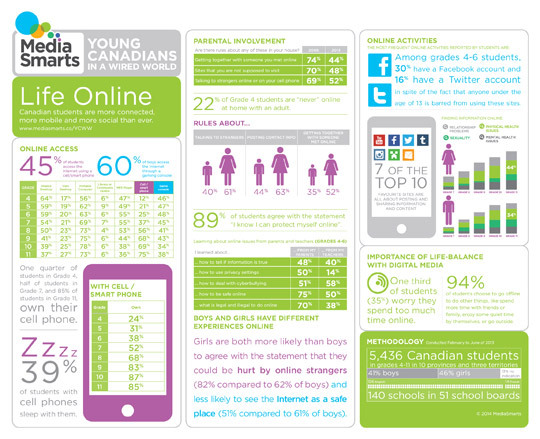 A recent survey of Canadian youth indicates just how extensive online culture is in the lives of young Canadians. See the infographic below and then follow up with a visit to the Media Smarts website where you can read the full story.